In this section I will provide you with some easy to use self esteem worksheets. It is true that only by applying the knowledge you possess you got real power, to be able to change your life in a desirable direction. It is the only way to change anything. So I urge you to do the work and take another step in the right direction of growing your self esteem and build a happy and successful life. Worksheet #3 Who Am I? 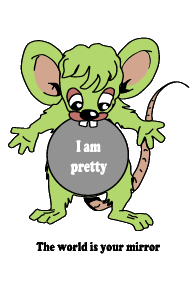 We have recently developed a great tool to support the building of self esteem and attracting desired outcomes. It's called the Success Habits Generator, based on proven methods it guides you to install within yourself the success habits super successful people exhibit every day. That's why they do the right things to succeed automatically. You can learn more about this marvelous tool by clicking the image below.